Gretchen G. Berger, 76, formally of Russell, died on March 27, 2015 at her home in Michigan. Calling hours will be Thursday, April 2nd, 7 – 9 PM. 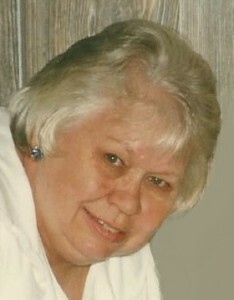 The funeral service will be on April 3rd, at 11 am at the funeral home, Pastor Martha Helmer officiating. A graveside service will be June 1st, 2 PM at Beech Plains Cemetery. She is survived by her sons, Terry and his wife Linda Berger of Mattawan, Michigan, Lawrence Berger of Paw Paw, Michigan, Steven Berger and fiancé Lauri Taylor of Lawton, Michigan, daughters, Linda and her husband Michael Walrath of Russell, Debra and her husband William Peterson of Gobles, Michigan, brothers, Frederick and his wife Nancy Parrow of Russell, Larry and Carol Parrow of Hastings, Michigan, sisters, Kathleen and her husband William Gonyea of Hermon, Sally and her husband Norman Marble of Augusta, Michigan, Betty and her husband Dean Kerr of Fine, 11 grandchildren, 3 step grandchildren, several great grandchildren, several nieces and nephews. She was predeceased by her sons, Ricky Berger, Gary Berger, brothers, Bruce Parrow, David Parrow, sisters, Sharron Welch, and Bonnie Sue Parrow. Gretchen was born on December 21, 1938 in Russell, the daughter of Wesley and Marjorie Billings Parrow. She married Gene B. Berger on July 21, 1956 at the Canton Methodist Church with Reverend A. Leslie Potter officiating, he predeceased her on March 23, 2003. She was a homemaker and previously was a machine operator at Plastic Engineering in Portage, Michigan. Gretchen was a member of the AMVETS Post 11, DeKalb Junction, the DeKalb Hermon Senior Citizens Club, a social member of the Russell Volunteer Fire Department. She loved crafts especially woodcrafts, gardening and sewing. Contributions can be made to the Russell Volunteer Fire Department. 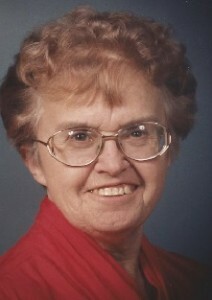 Beatrice A. McMartin, 74, of DeKalb Junction, died on March 13, 2015 at James Square Nursing Home, Syracuse. A memorial service will be on, Saturday, March 28, 2015 , 11:00 am at the funeral home, Pastor Martha Helmer officiating, burial will follow in Union Cemetery. She is survived by her daughter, Vicki A. McMartin and her husband Keven Yankus of Alger, Michigan, brothers, Gerald and his wife Patricia Ramsey of Las Vegas, Nevada, Donald and Margaret Ramsey of Alabama, a sister, Jean and her husband Thomas Perry of Syracuse, half sisters, Barbara and her husband Lynn Gotham of Florida, Sue and her husband Robert O’Shea of Canton, several nieces and nephews. She was predeceased by her daughter, Cheryl A. McMartin, a grandson, Matthew McMartin, brothers, Ronald Ramsey, Frank LaRose, sisters, Linda Dufore and Bonnie LaRose. Beatrice was born on December 5, 1940 in Parishville, the daughter of John and Beatrice Kerr Ramsey. She married William F. McMartin on July 2, 1960 at the home of Clarence Gardner with the Reverend Bower officiating, he predeceased her on February 19, 2010. She was a homemaker and mother. Beatrice was a member of the Old DeKalb United Methodist Church, the DeKalb Historical Association, DeKalb Hermon Senior Citizen Club, Russell Senior Citizen Club and was on the Board of the Union Cemetery. “B” (Beatrice) loved quilting, gardening, reading, decorating cakes and braiding rugs. Contributions can be made to the Town of DeKalb Historical Association, P.O. Box 111, DeKalb Junction, NY 13630, St. Jude’s Children’s Hospital, or your local SPCA.